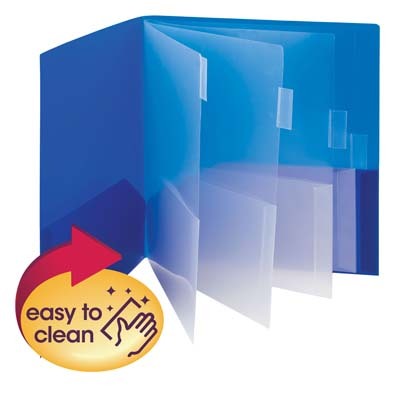 Brightly colored multi-pocket poly folder is perfect for organizing projects and paperwork. The large pockets safely hold many documents for easy and secure transport. Durable poly material is tear and water resistant.